For thousands of years, oolong—or ―black dragon, tea has inspired kings and cultures all over the world. English vodka brand Chase has reported a “massive” waiting list for its limited edition marmalade vodka. The next generation of giddiness-inducing beverages is coming down the pike in the form of Canna Cola, a marijuana-infused soda brand designed to be sold at medical marijuana dispensaries in the U.S.
Giuseppe was featured on Fabulous Magazine in December making two unusual Cristhams Cocktails. The online feature was also publicized within Fabulous magazine, directing readers to the website and includes a video of Giuseppe making the MARTINI cocktails. Do we really like Aromatic Bitters ? I love to use Aromatic Bitters in my cocktails…but what `s it ??? 1. Aromatic bitter is an alcoholic beverage that contains herbal essences, has a bitter or bittersweet flavor, and is typically flavored with citrus. AGEING IN OAK CASKS, GLASS AND CLAY JARS AT ARTESIAN BAR, THE LANGHAM HOTEL, LONDON. 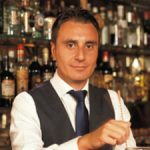 This week we went to see Alex Kretena and the team at Artisan bar at Langham Hotel in London and we asked what the inspiration behind his wonderful libation………..